When people express their nuclear hatred, they usually argue about: the dangers from radiation leaks, the risk of weapons proliferation, the nuclear waste problem, that nuclear power is too expensive and in any case we just don’t need it! None of these reasons have solid scientific backing. If they did, countries around the world (like USA, UK, France, Finland, Russia, China, India, South Korea, UAE) would not continue to build new nuclear power plants to supply their growing need for energy. 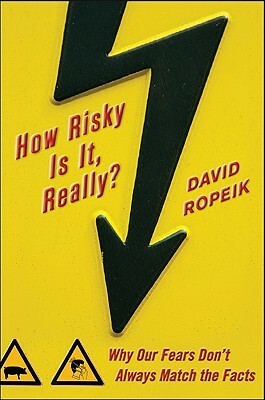 I have recently read David Ropeik’s book How Risky Is It, Really?, (2010 McGraw-Hill) and it could provide an explanation. Ropeik is a consultant in risk perception and introduces us to the psychology of fear. He looks at why our fears don’t always match the facts. He provides an in-depth view of our perceptions of risk and the hidden factors that make us unnecessarily afraid of relatively small threats and not afraid enough of the bigger ones. He introduces the important concept of the Perception Gap – the potentially dangerous distance between our fears and the facts. We need to recognize this gap if we are to reduce it and make healthier choices for ourselves, our families, and society.